Nearly four decades after his death, Charles Mingus Jr. remains one of the least understood and most recognized jazz composers and musicians of our time. Mingus's ideas about music, racial identity, and masculinity-as well as those of other individuals in his circle, like Celia Mingus, Hazel Scott, and Joni Mitchell-challenged jazz itself as a model of freedom, inclusion, creativity, and emotional expressivity. Drawing on archival records, published memoirs, and previously conducted interviews, The Kind of Man I Am uses Mingus as a lens through which to craft a gendered cultural history of postwar jazz culture. 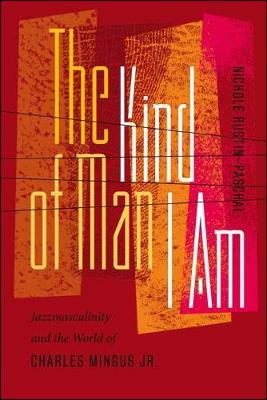 This book challenges the persisting narrative of Mingus as jazz's "Angry Man" by examining the ways the language of emotion has been used in jazz as shorthand for competing ideas about masculinity, authenticity, performance, and authority.